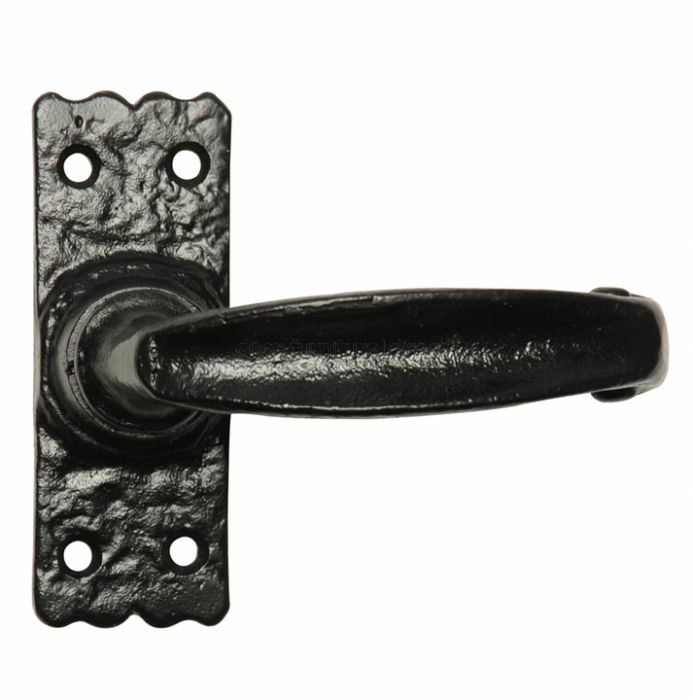 Antique lever latch handles on short plate. Dimensions of plate are 100x38mm. This set includes spindle and screws.